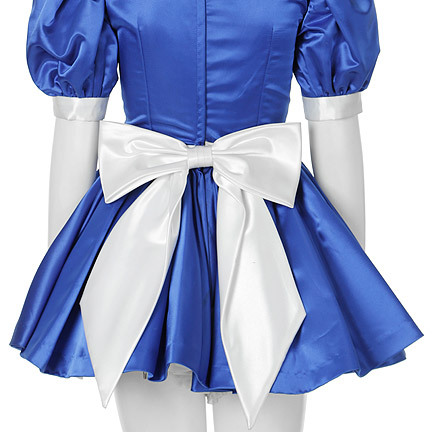 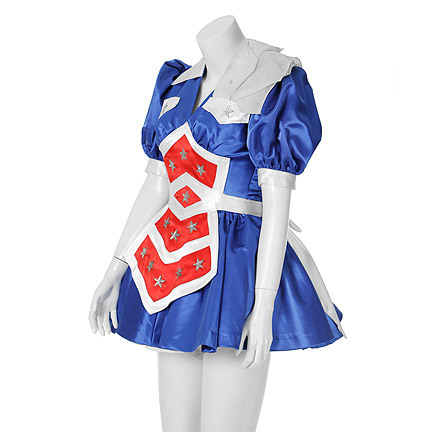 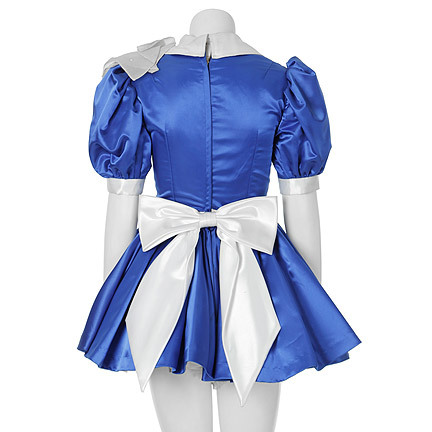 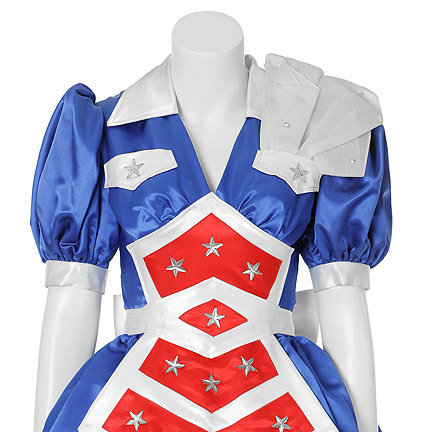 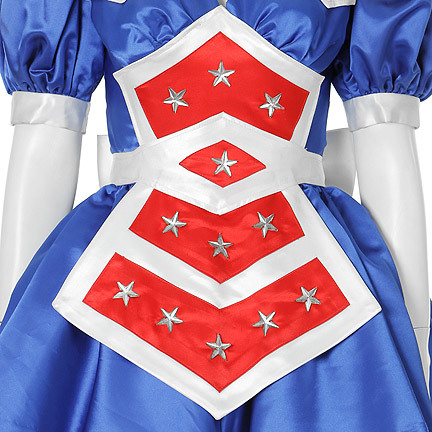 This authentic Walt Disney theme park Americana dance costume consist of blue satin dress with ¾ length puff sleeves, white collar, patch pockets with rhinestone star detail, full skirt with white ruffle petticoat, white apron with a back bow. 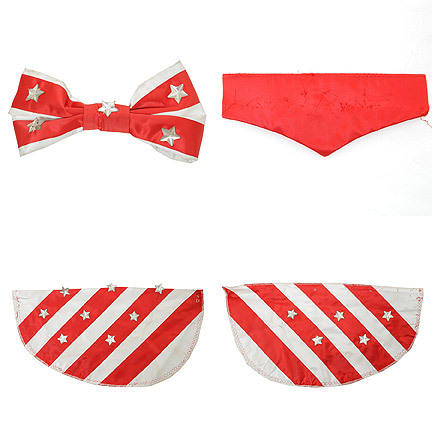 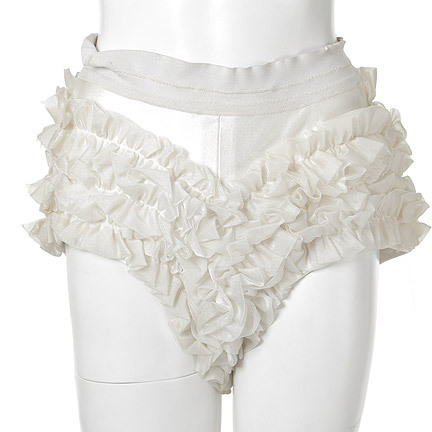 Also included are matching white ruffled bloomers, red and white wrist cuffs and bow tie. 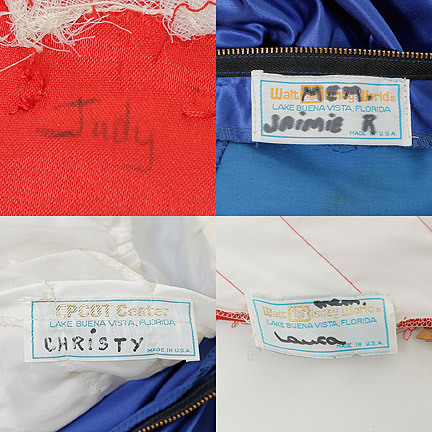 Three internal Walt Disney World Lake Buena Vista, Florida tag inscribed “Jaimie R”, “Christy”, and Laura. 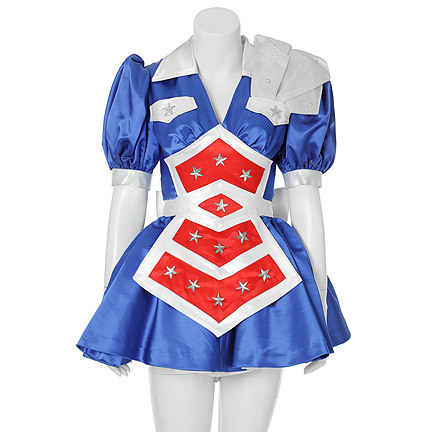 The costume was most likely used for a 4th of July parade or possible TV Special circa 1988. 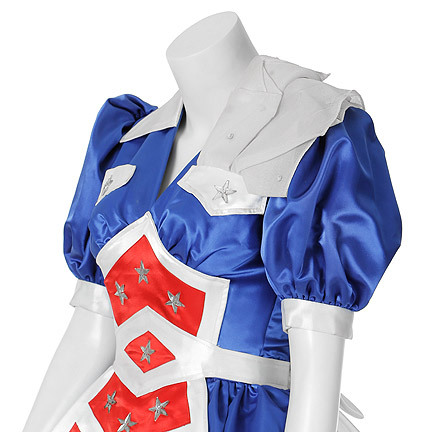 In excellent condition and accompanied by a certificate of authenticity.